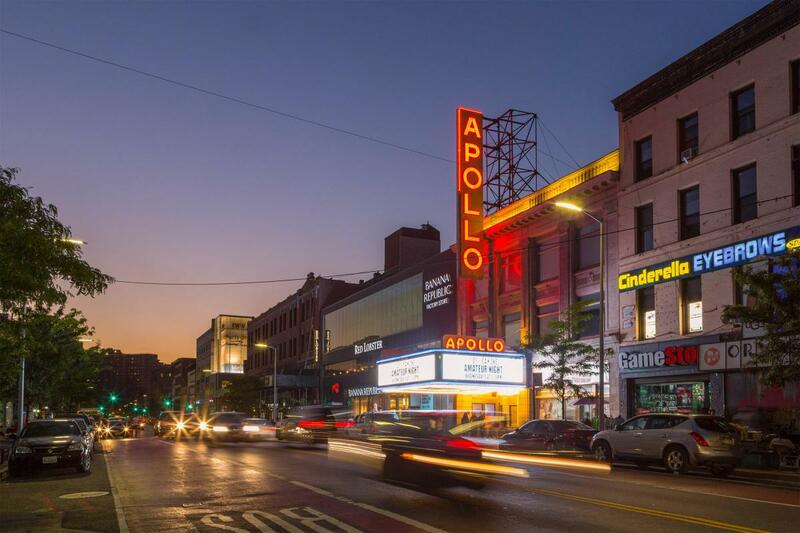 Fabled Harlem theater showcases cutting-edge entertainment. Lively amateur shows (Amateur Night every Wed. from 7:30. ), stand-up comics. Shows nightly. 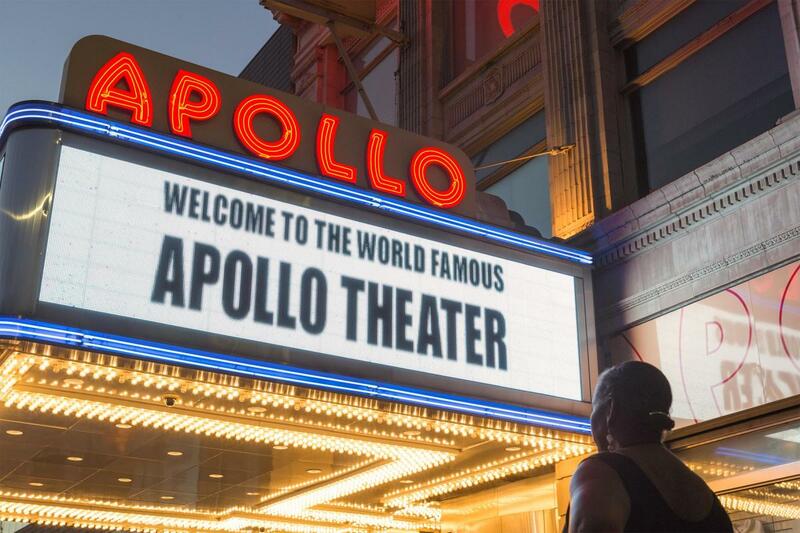 Historical backstage tours of fabled Harlem theater (by appointment) reveal significant contributions of African-Americans and Latinos to global popular culture. Guests hold their own "mock" Amateur Night. Cash or Ticketmaster charge only. Groups: 20–200. 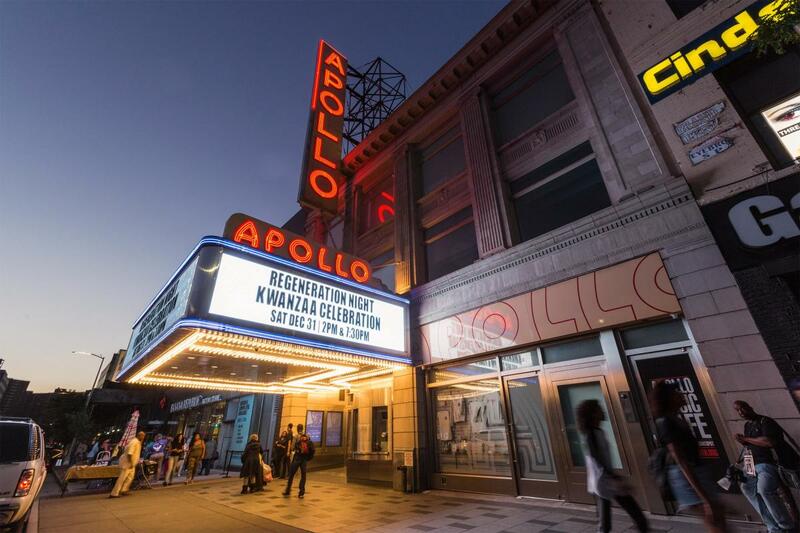 Book the Apollo for special events. 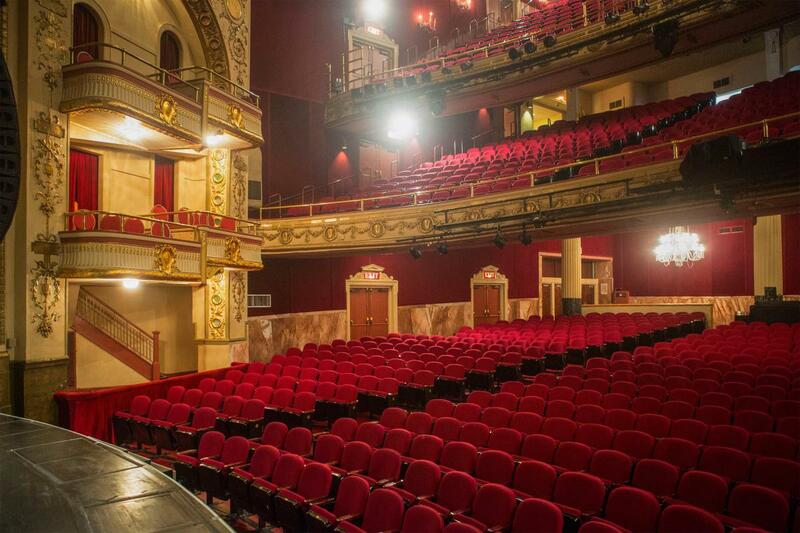 Spacious public area, office support facilities, state-of-the-art sound and lighting equipment in its two theaters.